This Chicago Blackhawks NHL Pennant is perfect for displaying your team allegiance in any room of the house, office, or for decorating your next tailgate party. 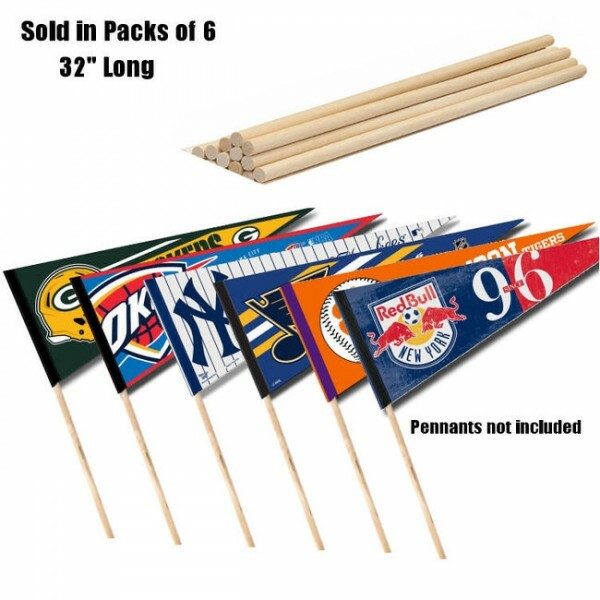 This officially licensed NHL pennant measures a full size 12x30 inches and is single-sided screen printed with the team logos, as shown. 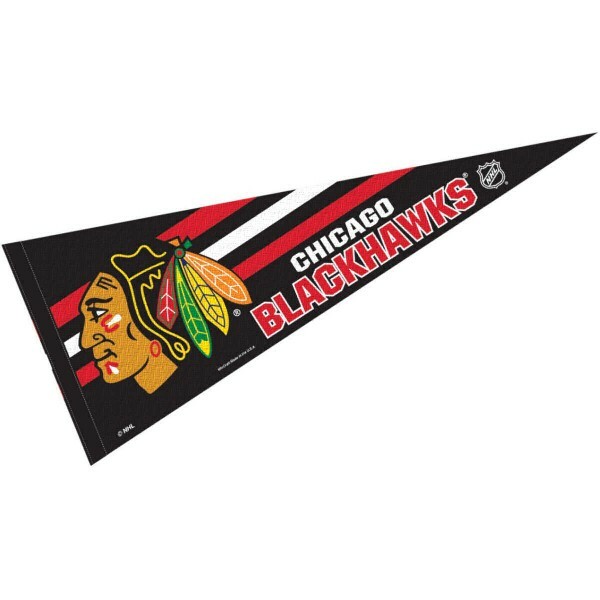 Our Chicago Blackhawks NHL Pennant is made of felt and provides a sleeve for insertion of a pennant stick, if desired. 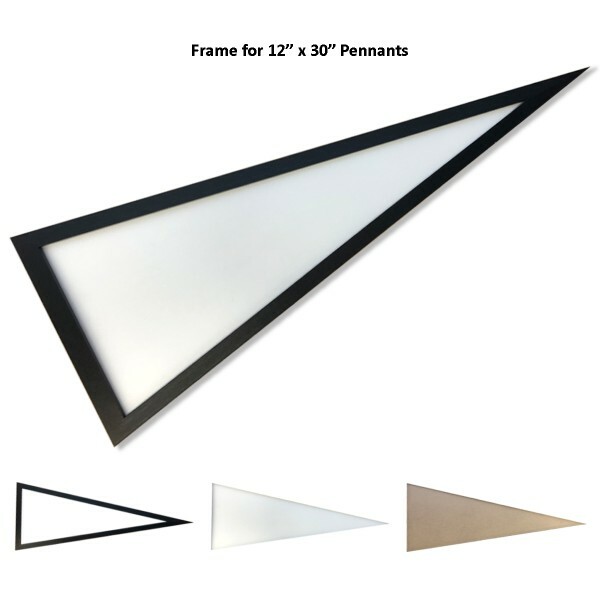 Accessorize your hockey pennant with our Pennant Sticks, Pennant Frames or buy one of your favorite Sports League or College Conference Pennant Sets.